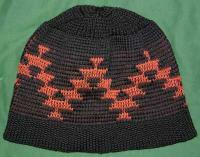 This Native Basketry Design in called Friendship. 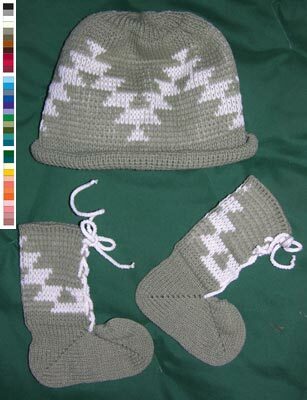 Our acrylic line of baby items are knit with high quality yarn which is affordable and an easy care item. An added bonus is the baby Moccasin Booties with the matching design, laced up the leg for easy adjustment and longer wear. 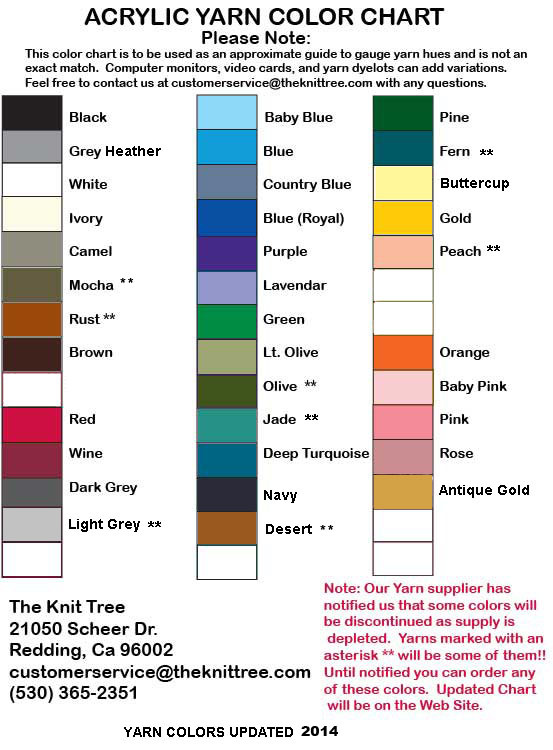 Choose your two or three colors from the yarn chart, follow directions below for selecting colors. . Then type your color choices in the text boxes below. Main Image on top is shown in Light Olive and White. Click on the images to see enlargements.